This is the first one of the Ann Rule crime files (Volume 1).Ann Rule decided to start doing these crime files when she realised that she would never have the time to write a book on each of the cases she researched and investigated.So in order to try and provide some "air time" to most of her true crime stories she decided to start with these crime files.The last one of these I read was Mortal Danger which is Volume 13,which reminds me that I have to go check out her website for any new books. So happy you came to visit.I have no idea how you survived without your internet connection.I would have gone crazy.But still you got so many books read it probably felt like a holiday hey? About your questions above,I think a reader would get the feeling that she gives more of herself in the crime files because of the introductory portion she has for each story where she gives a personal history and opinion into how the story came about.Also because the stories are short,there is no need for a lot of the "filler descriptions" and you get straight into the heart of the story. About the books which brings out more of her investigative style,that's an excellent question,because I noticed her one book End Of The Dream (about a man who made a living robbing banks) is nowhere as good as her other books.I think being a mother herself,the time she devotes to groups against abuse of women and children PLUS her experience as a police officer and obviously her experience in writing true crime leads to good books all around but definitely the books she has written about mothers who kill have that extra something.Families of the victims speak easily to her.She writes mostly about crimes from her own area so she is never viewed as an outsider when she does start to investigate,and last but not least her previous work speaks for itself and her compassion for the victims really shines through her work. I love the cover. I am not happy with my library now for only having one Ann Rule book. Hopefully, they'll get some in. 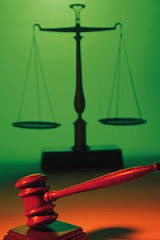 All the cases sound so interesting. Kate,Ann Rule is definitely one of the best true crime writers out there.You absolutely cannot go wrong with one of her books.Read the one that is in your library now and you will be HOOKED!! 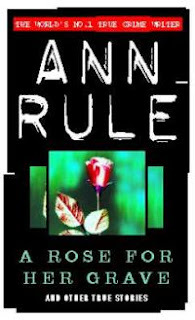 As I have said before in another review of yours I don't really care for Ann Rules books. The ones that I had I donated to my local library. After trying to read them all a number of times I just gave up. It seems to me that Ann Rule drags on in her books and i get bored. But I would really like to read this book. I love short stories, they make the pages fly by. I am writing this down and I am going to see if my local library has this book to read.